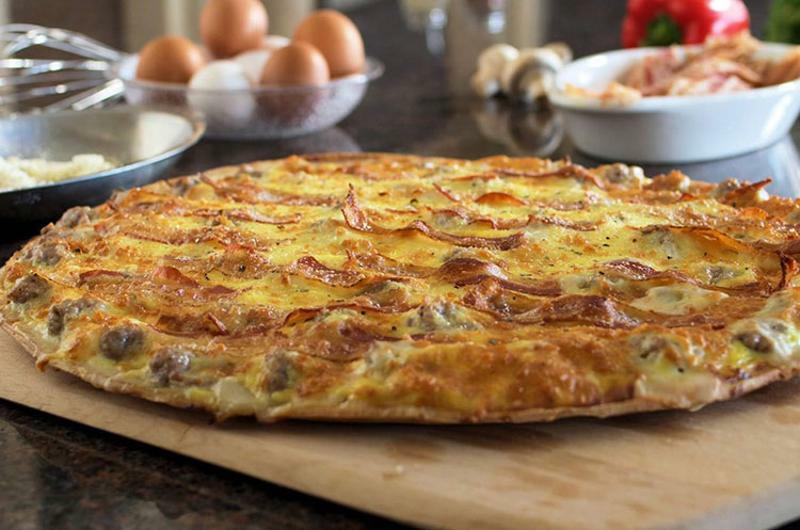 Pizza may be a national staple, but it can vary signficantly by region. The specialties of Chicago and New York are well known, but many other areas—from the Quad Cities to New Haven—also boast their own peculiar style of pie. These varieties are obviously prevalent in their place of origin, but click through to see where else the regional twists can be found. Could one iteration follow Nashville hot chicken in popping up on menus from coast to coast? And if we missed any regional U.S. styles, please shoot us an email at lhallow@technomic.com. Detroit-style pizza is characterized by its square shape and thick Sicilian-style dough. The style originated in the 1940s when chef Gus Guerra started using blue steel pans—such as those used for industrial parts trays—to prepare pizzas. This cooking method creates a crunchy crust and a chewy interior. Detroit-style pizzas typically feature tomato sauce on top of Wisconsin brick or cheddar cheese. Jet’s Pizza, founded in Sterling Heights, Mich., in 1978, offers a range of Detroit-styles in varieties such as Meatball Supremo, Buffalo Ranch Chicken and the Jet 10 with 10 toppings. It has more than 350 locations in 18 states, primarily in the Midwest and the South. 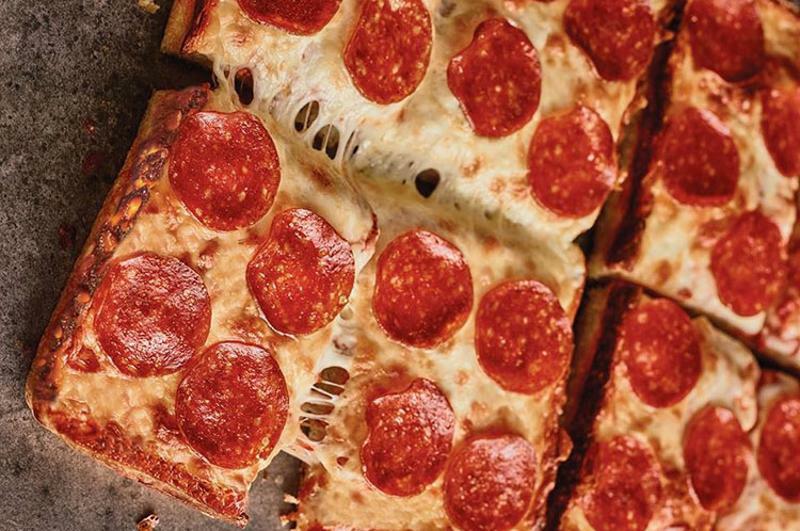 Little Caesars’ Deep Deep Dish Pizza is a nod to Detroit-style pizza. 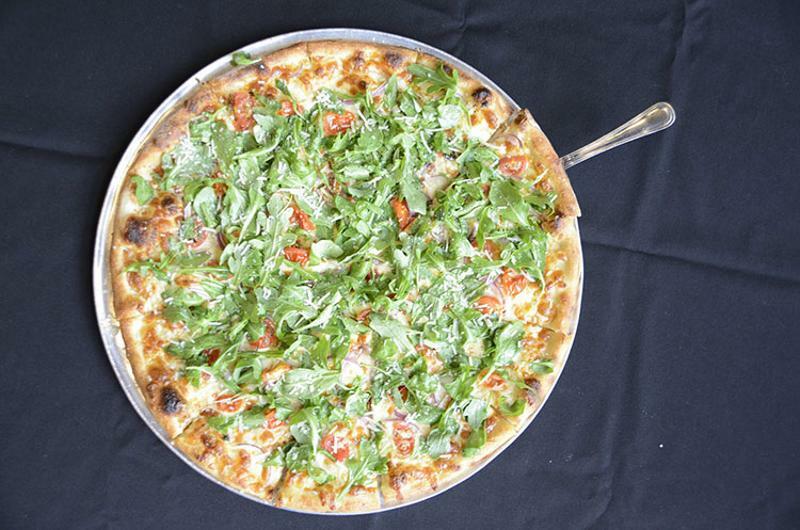 The Detroit-based chain added the pizza to its menu in 2013 and bakes it in a custom metal pan coated in olive oil. Earlier this month, it launched a stuffed crust version with pepperoni and cheese. Union Squared, with two units in the Chicago market, is a limited-service concept that describes its crust as focaccia-style with a “buttery bottom and crispy edges." This style, also known as apizza, comes from New Haven, Conn., and is an East Coast riff on Neapolitan pizza. Traditional New Haven pizzas are oblong and cooked in coal-fired brick ovens to produce a thin, charred yet chewy crust. The standard variety is usually topped with just tomato sauce, oregano and a sprinkling of pecorino Romano or Parmesan, while its most well-known specialty pie—the clam pizza—usually features clams, garlic and bacon. The original Frank Pepe Pizzeria Napoletana, credited with developing New Haven pizza in 1925, is still going strong in New Haven, and the full-service concept now has nine locations in Connecticut, New York and Massachusetts. Last year, the brand announced it plans to open a new store every 18 months as part of a plan to open 20 to 30 locations in the Northeast. 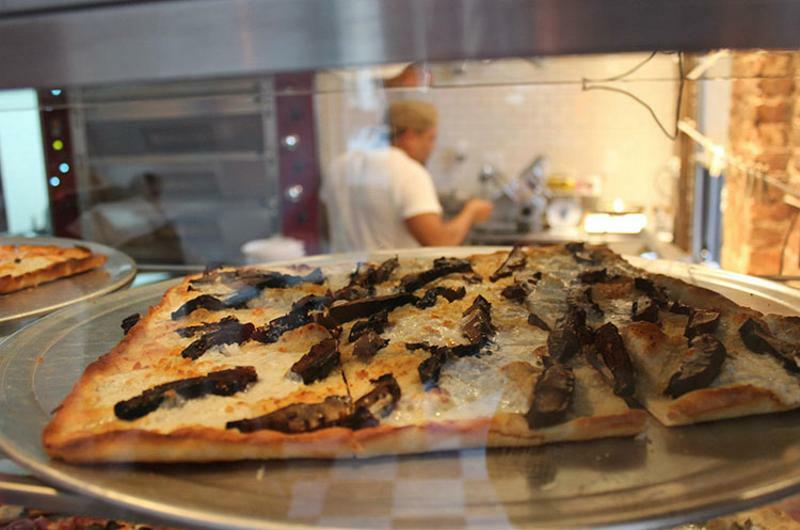 Pete’s New Haven Style Apizza, a four-unit limited-service concept in the Washington, D.C., area, promotes New Haven pizzas with local, all-natural ingredients. 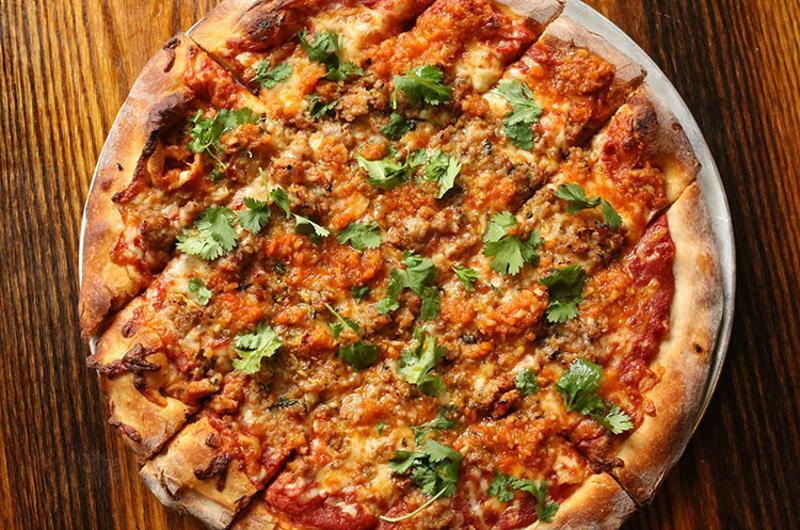 Salvation Pizza, a full-service pizzeria with three units in Austin, Texas, offers 10 varieties of New Haven-style pizza, including a clam option. This variety of pizza originated in the Quad Cities, a region consisting of four counties in Iowa and Illinois. It’s characterized by malted pizza dough, slightly spicy tomato sauce and toppings under the cheese. The pizza is typically cut into rectangular strips. Roots Handmade Pizza, a full-service pizzeria in Chicago, prepares its Quad Cities pizza crusts with dark-roasted malt to give it a complex flavor and chewy texture. Like many Midwest pizzas, St. Louis pizza features a thin cracker-like crust that’s cut into squares, but it’s the Provel cheese that sets it apart from other styles. Provel, which is used in other parts of St. Louis foods beyond pizza (it’s big as a salad topping, too), is a white, stringy processed cheese that’s a combination of cheddar, Swiss and provolone. Imo’s Pizza is said to be the originator of St. Louis-style pizza. The quick-service chain launched in St. Louis in 1964 and now consists of about 100 locations in Missouri and Illinois. Launched in Long Island, these square pizzas are a nod to home-baked pies that Italian grandmothers used to make. They’re baked on sheet pans and topped with whatever’s available. The crust is chewy and has a thickness that’s between a Neapolitan pizza and a Sicilian pie. 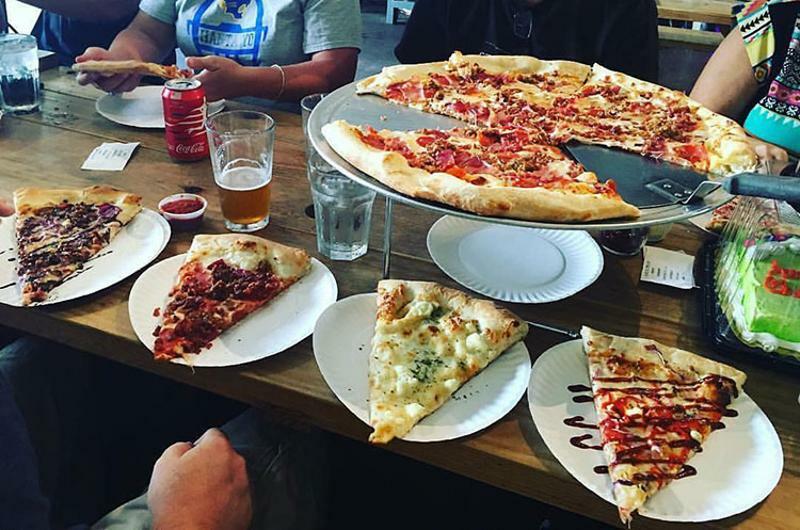 Slice House offers a range of pizzas, including grandma-style slices and whole pies. The counter-service concept has three units in the Las Vegas and San Francisco markets, with two additional San Francisco locations in the pipeline. Williamsburg Pizza, with units in Brooklyn and Manhattan, features pizzas in two styles: Grandma Square or Brooklyn Round. Unlike other regional styles, California pizza is characterized not by crusts and cooking methods, but by the toppings. They feature everything from seasonal vegetables to nuts to seafood, with chefs opening up to toppings that go beyond standards such as sausage and pepperoni. Chef Ed LaDou is credited with developing the style in the 1980s when he worked as Wolfgang Puck’s pizza chef at Spago. He’s also credited with inventing one of the most well-known California pizza varieties: barbecue chicken pizza. LaDou created the menu for California Pizza Kitchen when it opened in 1985. The casual-dining chain now operates more than 250 units in over 30 states and 11 countries and sells its pizzas in grocery store freezer aisles throughout the nation. The fast-casual pizza sector really took off in California with operators such as Blaze Pizza, Pieology and PizzaRev offering the option to build your own California pizzas with gourmet toppings such as arugula, zucchini and pesto. 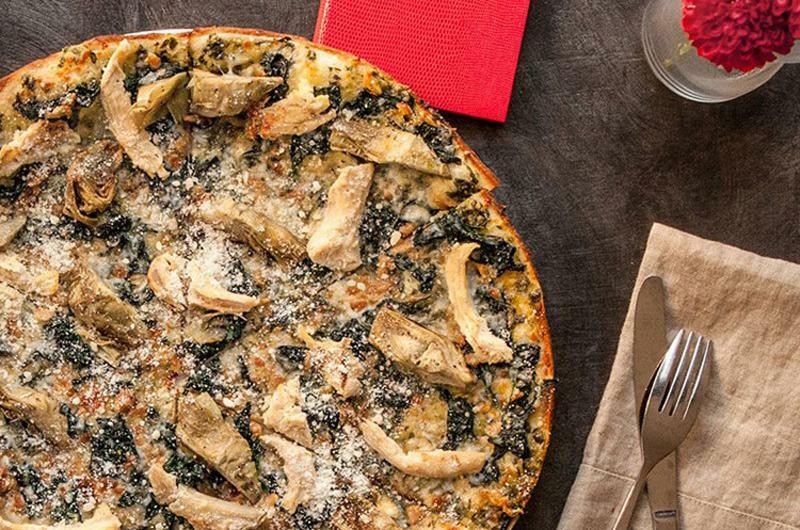 Arguably the most controversial style—with some decrying it as more of a casserole than a pizza—deep-dish pizza has been consumed by Chicagoans since 1943, when Chicago restaurant Pizzeria Uno began serving it. This type of pizza is baked in a deep, round pan that’s well-oiled to allow for easy pizza removal and to create a crunchy exterior. Deep-dish pizza requires a long baking time; and so as not to burn the toppings, pizzas are typically assembled in a specific order—crust, cheese (typically mozzarella), meats, vegetables and tomato sauce. The crust is often rolled in corn flour or semolina, giving it a yellowish color. In the 1940s, Lou Malnati worked at Pizzeria Uno where his father, Rudy Malnati, was the manager and bartender and—according to Lou Malnati’s—helped create the first deep-dish pizza. Lou went on to open his own namesake pizzeria, Lou Malnati’s, in 1971; and the concept (now run by his sons) operates about 50 locations primarily in Illinois, although it’s in the process of expanding. 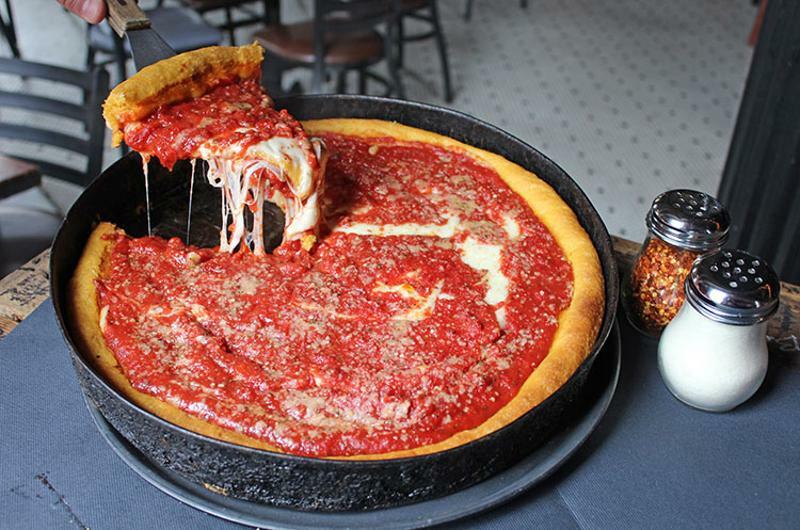 Chicago-based chain Gino’s East has been serving deep-dish pizza since 1966, when former Pizzeria Uno cook Alice Mae Redmond launched her own restaurant. Gino’s East now operates 17 units in Illinois, Wisconsin and Texas, with a Phoenix site on the way. Pizzeria Uno is now part of Uno Pizzeria & Grill, a casual-dining Boston-based chain with more than 130 locations in 21 states, the District of Columbia, South Korea and the Middle East. The chain began in 1978, when Pizzeria Uno founder Ike Sewell began franchising the name and concept to Boston-based Uno Restaurant Holdings Corp. The oldest regional pizza style, New York pizza was developed in the early 1900s in New York City’s Little Italy neighborhood. Although developed by Italian immigrants, New York pizzas are larger and crispier than Neapolitan pizzas and feature a hand-tossed dough topped with a light layer of tomato sauce and fresh mozzarella. The traditional way to eat a New York slice, as any New Yorker will tell you, is to fold it. 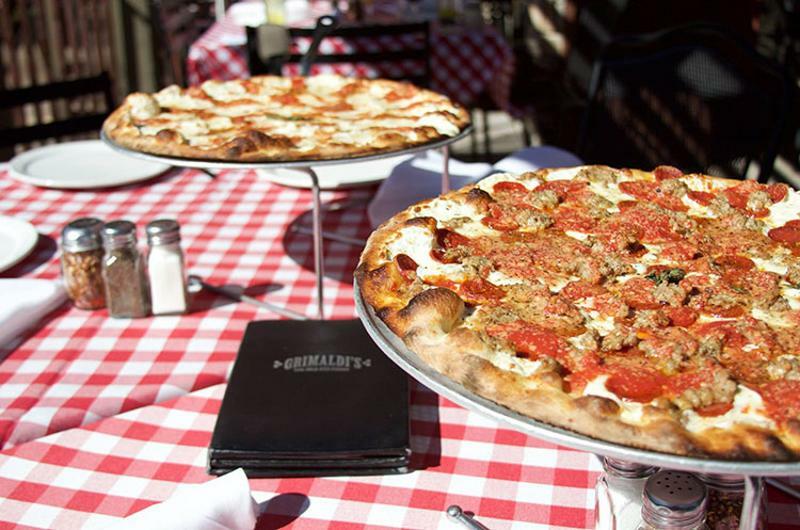 Since launching in 1990 in Brooklyn, Grimaldi’s Coal Brick-Oven Pizzeria has had a tumultuous history and now consists of more than 50 locations in 16 states under a few different owners. Texas-based franchise Russo’s New York Pizzeria serves New York-style pizza and Italian fare at its roughly 40 locations in Texas, Oklahoma, Tennessee, Florida, Hawaii and the Middle East. San Diego-based Flippin’ Pizza promotes New York-style slices with a “crispy, slightly darker” crust. It operates about 25 locations in California, Florida, Maryland, D.C., and the Middle East.